Samsung QN55Q7FN vs QN55Q7F (QN55Q7FNAFXZA vs QN55Q7FAMFXZA) Review : How does Samsung’s 55-Inch 2018 Q7 Series Compared to 2017 Q7 Series? 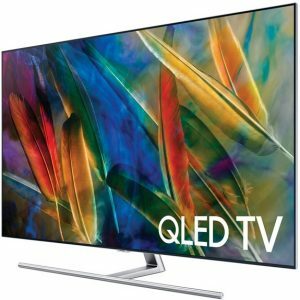 Samsung QN55Q7FN (QN55Q7FNAFXZA) is one of the option that we should consider for 55-Inch 4K UHD TV from 2018 TV lineup. We can find that Samsung QN55Q7FN is introduced as the successor model of Samsung QN55Q7F (QN55Q7FAMFXZA). Is Samsung QN55Q7FN a better choice than the older Samsung QN55Q7F? To answer that question, it’s a good idea to talk about the comparison between those two 55-Inch QLED 7-Series TV models. This article will talk about the comparison between those two TVs for you. The key specs and features of Samsung QN55Q7FN and QN55Q7F can be found on the table of specs and features below. It’s important for us to know the specs and features of those two TVs before we can talk more about their comparison. So let’s take a look at the specs & features table of Samsung QN55Q7FN and QN55Q7F together. After we look at the specs and features table above, we can talk more about comparison between Samsung QN55Q7FN and QN55Q7F. How’s the comparison between the new and old 55-Inch Q7 Series? Let’s talk about it together. Samsung QN55Q7FN and QN55Q7F come with similar Edge-lit LED in flat panel display. Flat panel display of those two TVs is completed with contrast enhancer that can deliver greater sense of depth across its screen. We can also find that the dimming technology installed on both of Samsung QN55Q7FN and QN55Q7F are similar. They both come with Supreme UHD Dimming that completed with UHD Upscaling as their upscaling technology. With Supreme UHD Dimming and UHD Upscaling, we can enjoy brilliant picture not only from original 4K content sources but also from upscaled non 4K contents. The color technology of Samsung QN55Q7FN and QN55Q7F are different but they are basically similar. Samsung QN55Q7FN comes with Q Color, while Samsung QN55Q7F comes with Q 4K Color Drive Elite. Both of those two color technology are able to deliver 100% Color Volume on the TV screen so that you can enjoy rich and accurate color details on both of those two TVs. We can also find that both of those two TVs support HDR with Q HDR Elite installed on Samsung QN55Q7FN and Q 4K HDR Elite on Samsung QN55Q7F. The black technology of Samsung QN55Q7FN and QN55Q7F are also basically similar. 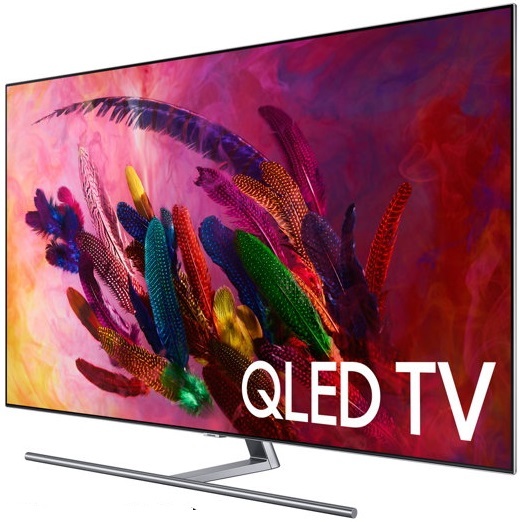 Samsung QN55Q7FN comes with Ultra Black Elite, while Samsung QN55Q7F comes with Q 4K Elite Black that can deliver deeper black level on the TV screen. The color, clarity and contrast of those two TVs are also optimized with Q Engine that installed as the mastering engine of those two TVs. We can find that the refresh rate technology installed on Samsung QN55Q7FN and QN55Q7F are similar. Both of those two TVs come with Motion Rate 240. Motion Rate 240 is able to deliver smooth fast motion images for your favorite action movies and sports, while you can also enjoy fluid action gaming experience when you use the TV as your gaming monitor. Smart Hub are installed on both of Samsung QN55Q7FN and QN55Q7F as their Smart TV Platform. But we can find that the version of Smart Hub installed on those two TVs are different. Samsung QN55Q7FN comes with 2018 version of Smart Hub, while Samsung QN55Q7F comes with 2017 version of Smart Hub. 2018 Smart Hub comes with few improvements from the 2017 one. One of the key improvement is Bixby Voice that provide more intelligent voice control. Smart Hub is able to deliver premium entertainment from your favorite content providers with the help of 802.11ac wireless that bring fast internet connection for those two TVs. We can also run additional Tizen Apps on the TV’s big screen since the Smart Hub is powered by Tizen OS. The Apps can run smoothly on those two TVs since both of them are powered by quad-core processor. We can also find that Samsung OneRemote are both included with both of Samsung QN55Q7FN and QN55Q7F. Samsung OneRemote is able to control the TV, Smart Hub and other connected devices conveniently. But We can indeed find different version of Samsung OneRemote in both of those two TVs. Samsung QN55Q7FN comes with TM1850A, while Samsung QN55Q7F comes with TM1750A. Samsung TM1850A as the newer model comes with a little improvements from TM1750A. The speaker system of Samsung QN55Q7FN and QN55Q7F are slightly different. They both indeed come with 40W speaker output, but their speaker types are slightly different. Samsung QN55Q7FN comes with 4.1Ch speaker system, while Samsung QN55Q7F comes with 4.2Ch speaker type. 4.2Ch offers slightly richer sound quality than 4.1Ch speaker type. As the newer model, we can find that Samsung QN55Q7FN is usually offered at the higher price than Samsung QN55Q7F. If you are interested to know more about their price difference, it’s recommended that you check the price of Samsung QN55Q7FN and QN55Q7F before we can find their latest price difference. Why Should You Choose Samsung QN55Q7FN?